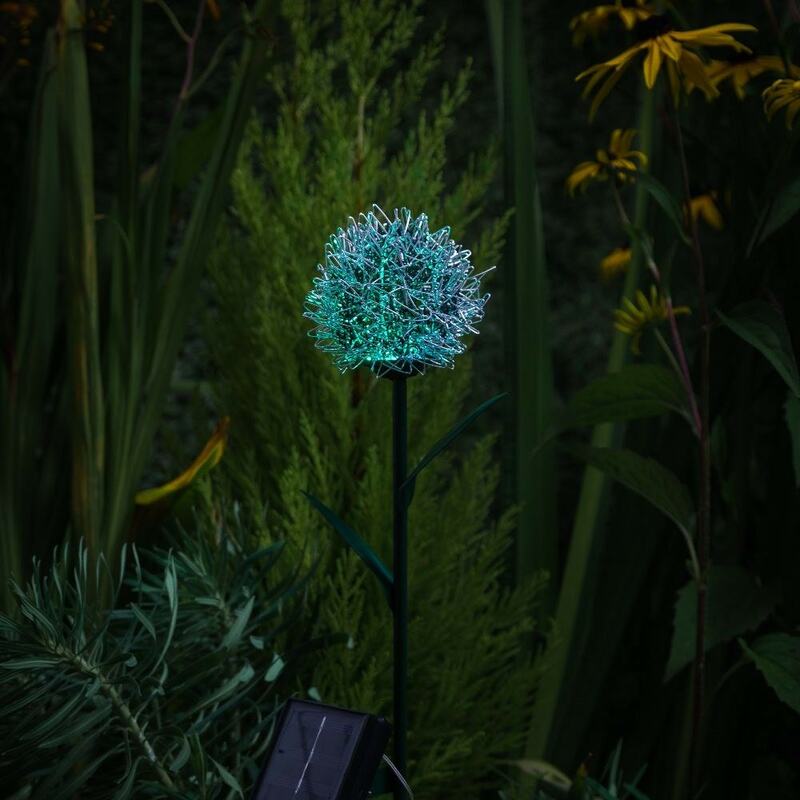 This spectacular starburst stake adds structure to the garden by day and springs into life with a bright burst of colour-changing light at night. Just stake it in place and it will work all year round with no intervention - the solar panel charging in daylight and the dusk sensor with 6-hour timer activating the LED when night falls. A wonderful way to banish the dark and add ambience to outdoor gatherings.